Can “The Cloud” help with financial pressures on DXA? DXA bone density testing has been experiencing mounting economic pressures, as has most of healthcare. Reimbursement cuts have reduced revenue to bone density providers and bone density test volume has at best remained flat. As a result, DXA operators have had to become more efficient. “The Cloud” has been instrumental in other industries, including government and military, in reducing costs. Can “The Cloud” help DXA practices similarly? Cloud-based applications are typically offered on a Software-As-A-Service (SaaS) basis. The idea behind SaaS is simple: pay for what you use. The implication is that the initial purchase of software, which can be quite costly, is replaced with a subscription-type model. The subscription can be based on any number of factors, such as per user, amount of storage, or simply usage. SaaS applications typically minimize – or even eliminate – the need for an internal IT department. There is no on-site hardware or servers and thus no maintenance for those items. Installation is easy – often times simply requiring a web browser. SaaS applications often time include upgrades and support. The traditional model for purchasing software involved an initial purchase and occasional upgrades, that had to be purchased. SaaS services are often scalable. A business can start small and easily add capacity as it grows. In future articles we will discuss more advantages of the SaaS model. There is NO need to re-enter your DXA data when reporting! Recently, we have spoken to many bone densitometry professionals who still enter bone density data manually when creating a report. Specifically, we are referring to data produced by central DXA machines, such as Area, BMC, BMD, T-score, and Z-score. Physicians and their staff often re-enter the data manually from the DXA printout. Radiologists often look at the (DICOM version of the) DXA report in their PACS and dictate the numbers into a report. This data re-entry step is completely unnecessary. 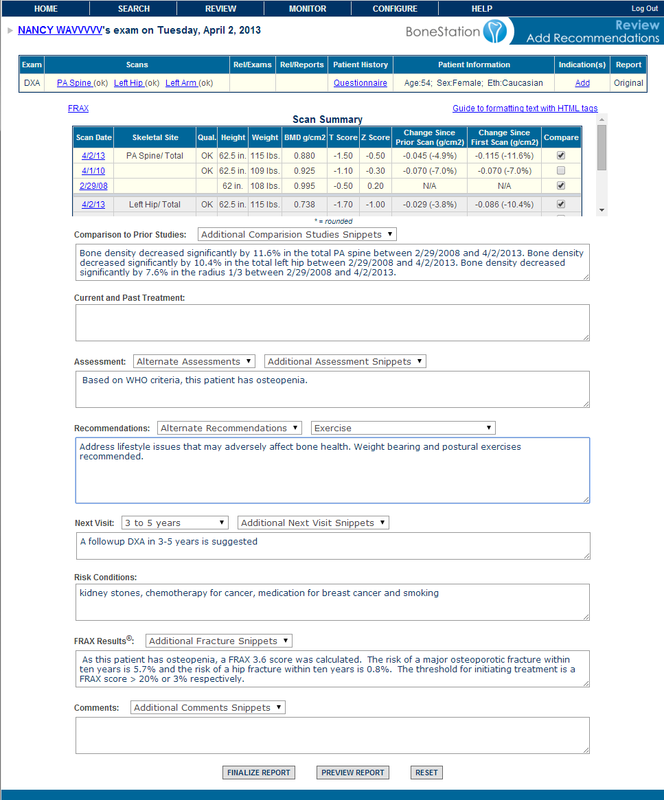 DXA machines support DICOM, which is an electronic report that contains BMD data. The BMD numbers are burned into the DICOM image and can be viewed. 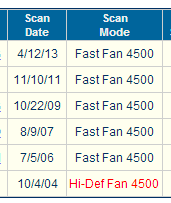 The DICOM also contains the BMD data within private fields. Software can recognize and extract the BMD numbers automatically! We have touched upon this point in prior postings such as these: The Evolution of Bone Density Report and Bone Density Reporting and PACS. The same phenomenon happens with FRAX. 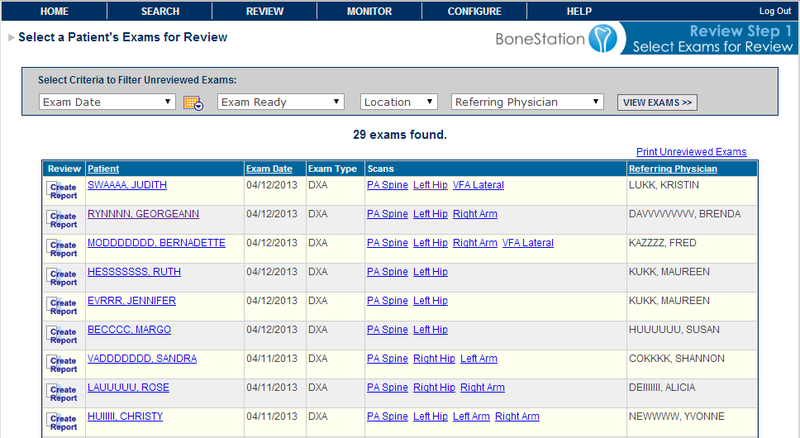 We’ve observed several bone density testing providers working off the printout from the DXA. Others manually run FRAX from the web site. If the DXA machine is used to provide FRAX, then the FRAX score is available in the DICOM. 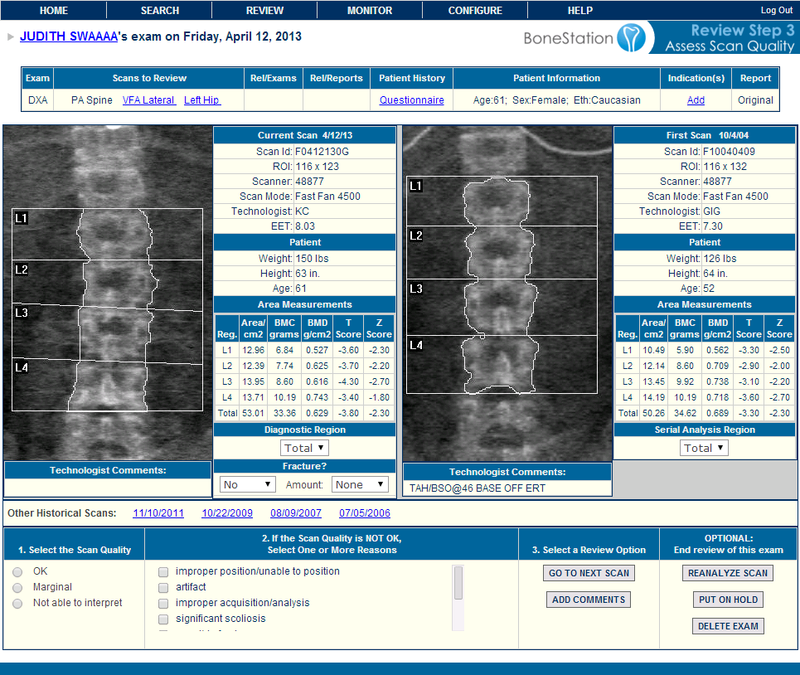 The benefits of bone density specific reporting software become apparent. The DXA manufacturers’ software as well as BoneStation can read BMD data in the DICOM transmissions. Unfortunately, we are not aware of a PACS that extracts bone density data. There are numerous benefits to the automatic acquisition of BMD data. Providers spend less time on reporting and more time seeing additional patients. Reports can be stored electronically and be compatible with electronic distribution to EMRs. If BMD data is stored in a database, then it may be mined and queried, as discussed in this prior blog post.